A death row inmate in Atlanta, Georgia has asked the court to execute him by firing squad. He argues that the pain medication he’s been on for the past decade would make him less susceptible to a fast death by lethal injection. And even people who aren’t taking pain medication have died in horrifying ways over the past few years through botched executions. J.W. “Boy” Ledford Jr. was 20-years-old when he stabbed his elderly neighbor to death in January of 1992. Ledford, now 45, was found guilty and sentenced to death. He’s scheduled to die on Tuesday. “Mr. Ledford proposes that the firing squad is a readily implemented and more reliable alternative method of execution that would eliminate the risks posed to him by lethal injection,” Ledford’s lawyers said in court papers filed last week. The drug that Ledford takes for nerve pain, Neurontin (generically known as gabapentin), alters brain chemistry in such a way that Ledford’s lawyers argue he would be subject to more pain than the average person. And even the average person on death row doesn’t die painlessly from lethal injection. There have been a high number of botched executions recently, with one of the more shocking cases happening in 2014, when Clayton Lockett didn’t die until 43 minutes after he was sedated. Witnesses said that Lockett writhed in agony and that it very plainly looked like torture. Lethal injection drugs are becoming more scarce, leading to some bizarre scenes in the United States. Just a few weeks ago, Arkansas executed four people in eight days because the drugs that the state had on hand were set to expire. 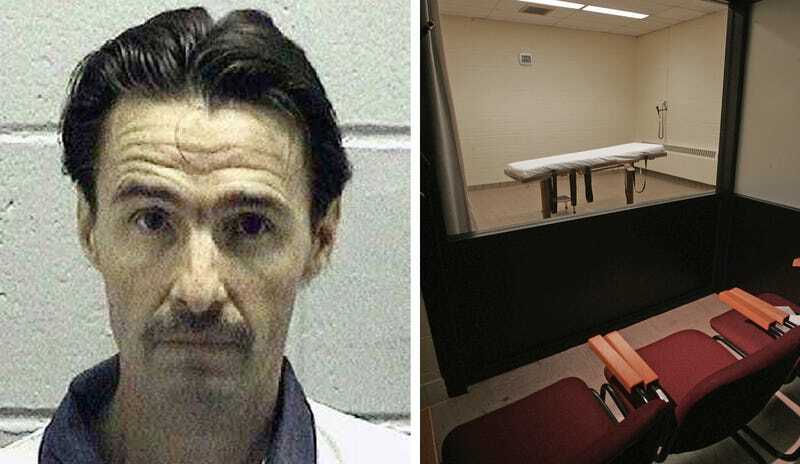 One of those deaths was described as “problematic” after death row inmate Kenneth Williams was seen “lurching, convulsing, coughing and jerking” for a full 20 minutes before he died. Mississippi, Oklahoma and Utah are the only states that still permit execution by firing squad. According to CNN, the last person to be executed by firing squad in the US was in Utah in July of 2010. And while Georgia certainly has plenty of people qualified to rustle up a posse like some Old West firing squad, the state isn’t buying Ledford’s story. The United States is one of the few industrialized countries that still has the death penalty. And most countries in Europe that formerly supplied American states with lethal injection drugs are forbidden under law from exporting them. This has led to a major backlog for states that love to kill people. It’s unlikely that Ledford will get his request for a firing squad granted. But if the state is going to continue to kill people, it seems only fair that those who die aren’t tortured, as lethal injection so often does. There are worse ways to go than firing squad. And I don’t think even Antonin Scalia’s ghost would object to this man getting his wish.